Two Miami-Dade women suffered serious injuries in an alleged drag racing accident. According to the Daily Business Review, their auto accident attorney was able to secure them an $11.5 million award in damages. Both women suffered collapsed lungs, among other injuries, including broken ribs and fractures. The drag-racing driver had been speeding through a residential neighborhood. Drag racing has been glamorized in films and in the media, but the practice is incredibly dangerous—not only to the drivers who participate in this high-risk activity, but also to other drivers and pedestrians who happen to be on the road. Miami recently found itself in the national media spotlight when Justin Bieber was arrested for drag racing. Despite having to pay heavy fines and take courses, Bieber faced no jail time. Miami is not the only place where drag racing has taken its toll on lives and families. ABC News reports of a deadly drag racing accident that killed five spectators in Maryland. It isn’t clear how many people are injured or killed in drag racing each year in Miami, but the Florida Highway Patrol recorded at least nine deaths in the years before the release of the film “The Fast and the Furious.” The numbers have since likely gone up. In California, for instance, 50,000 have been found guilty of drag racing, and 100 people die every year. Drag racing’s popularity has sometimes been blamed on films like “The Fast and the Furious” and on video games like “Grand Theft Auto” that glorify irresponsible and reckless driving. Teens and young drivers might not understand that their actions can have life-long impacts on other drivers and on their own lives. What is so tragic about drag racing is that there are places where individuals can safely race cars—away from traffic and other hazards. Florida has many drag strips where drivers can test their skills—safely—without putting other innocent drivers at risk. Yet, younger drivers may not have the foresight to practice drag racing on safe tracks designed for the purpose. When they drag race on city streets, they face serious consequences—including arrest. They may also have to pay personal injury compensation to any victims they injure due to their actions. Drivers can keep themselves and their loved one’s safe by keeping a good distance from cars that look “souped-up” and from drivers who are revving their engines, especially at stop lights. Drivers should also report any instances of drag racing in their communities. (d) Purposefully cause the movement of traffic to slow or stop for any such race, competition, contest, test, or exhibition. If you or a loved one has been endangered or injured by a reckless driver or by a drag racer, it is important to understand that you may have the right to receive compensation for your injuries. 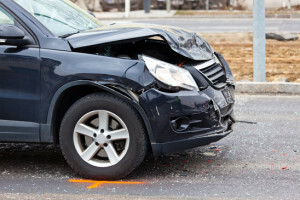 A Miami auto accident lawyer may be able to assist you in getting the justice you and your family deserve. Contact the Wolfson Law Firm, L.L.P. today to learn more.